We ship promptly. Thank you ! *PLUS* Free Shipping! For US Residents. Overseas customers: Please get free shipping on your order through Ebay. Click here. 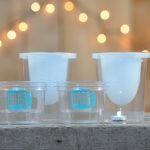 *PLUS* Two Free LED Clear Ice Illuminators! (Limited time only. And as a potential extra bonus, we may just add a third LED light into your kit if you order right now, because we want to share with you and your friends how illuminating nICE mugs are so darn beautiful). 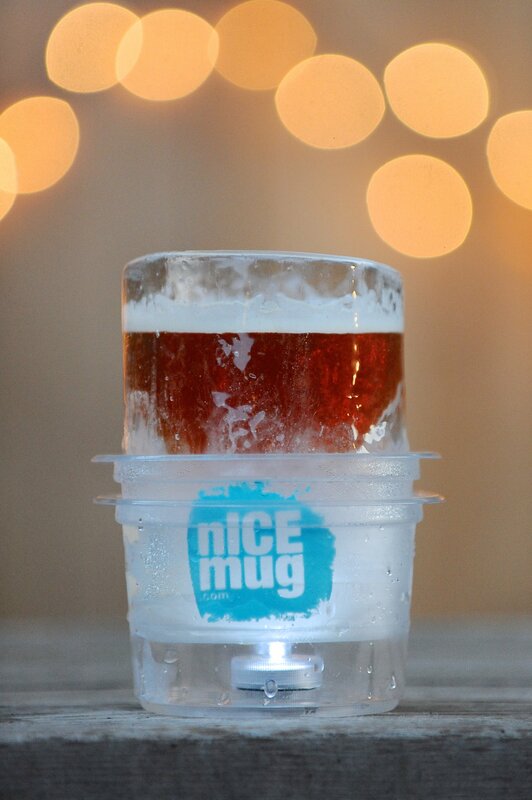 The nICE mug party kit includes four molds and four enhanced holders. 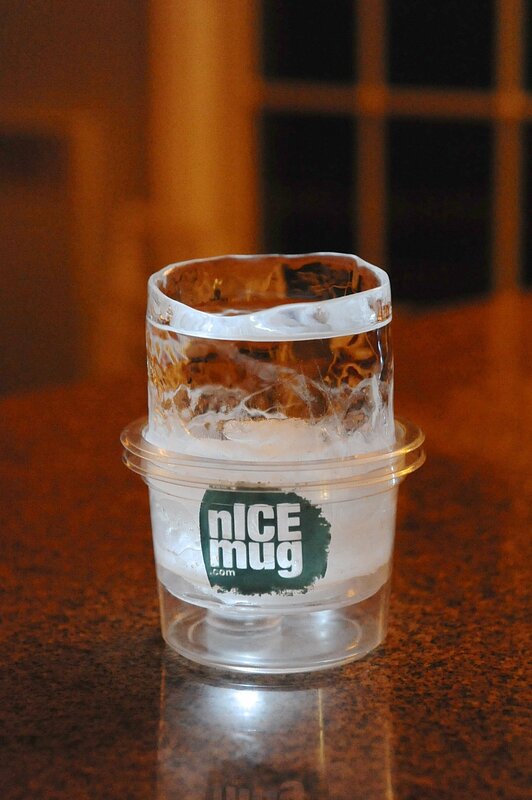 Each nICE mug mold is made up of a base mold and a lid mold. 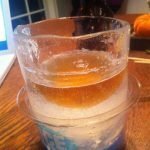 The lid mold snaps into the base mold displacing the water in the mold to form the shape for your nICE mug. 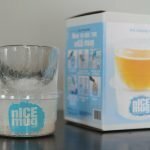 Each nICE mug holder is made up of two different plastic holders, one nests the ice glass with a small hole to release water into the second plastic holder, which creates a chamber to collect the ice melt. 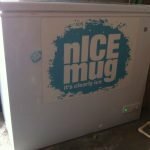 The nICE mug party kit is a great option if you plan on having a party and wish to have an arsenal of nICE mugs at your disposal. 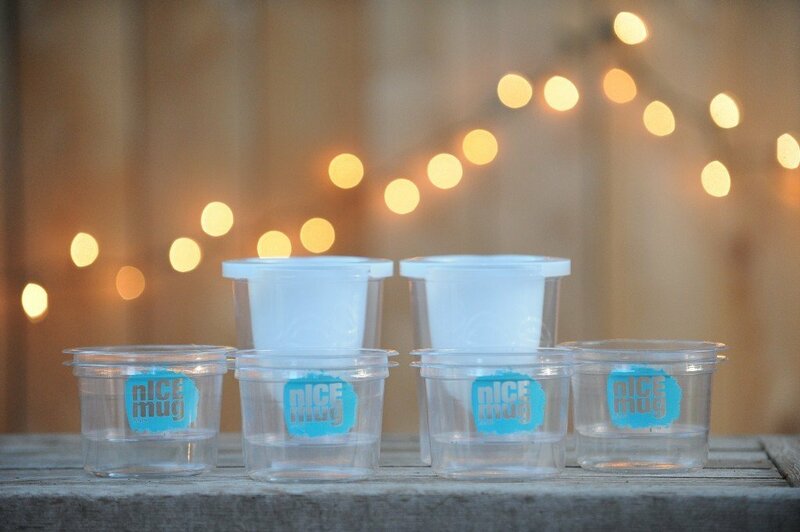 Being able to make four nICE mugs at a time works really great for stocking inventory and for parties. 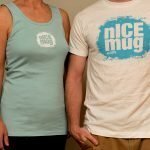 Set up your own nICE mug production factory right at home. For example, say you’re having 20 people over to your house on Friday to celebrate the Polar Vortex. 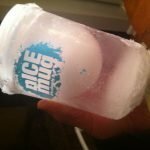 Well, after you announce your party on Sunday, you can fill and freeze 4 nICE mug molds, then on Monday, 24 hours later, you can pop out those 4 nICE mugs, put them back into the freezer and fill again. Tuesday: four more. Then, Wednesday, well, you get the picture. 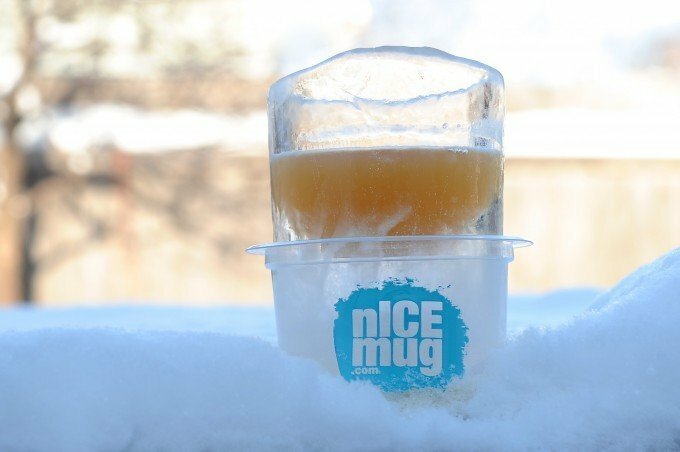 An ice glass in the snow. Making nICE mugs are a lot of fun. 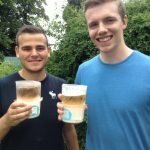 Some hire their kids to make nICE mugs. Some leave work early to make nICE mugs. 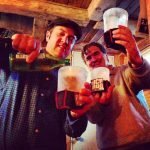 Either way, cheers to the fun! From Henrick in Australia: “Received my nICE mug party kit and made a bunch. Then made another bunch and another, filling our freezer. 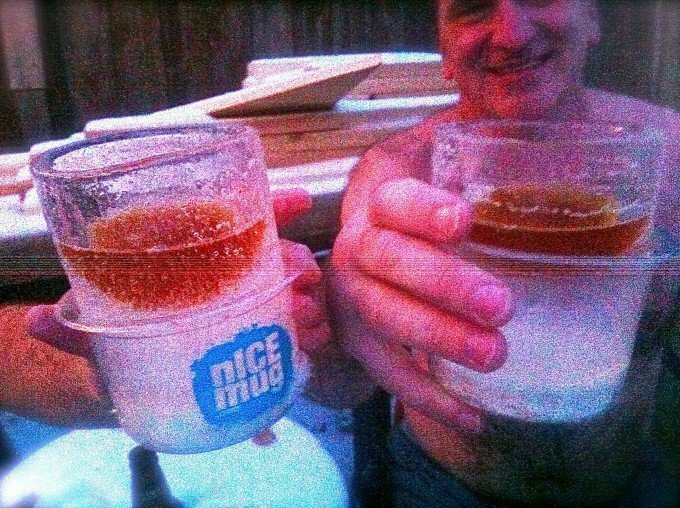 We brought them out for a pool party and nICE mug was a huge hit. I think you’re probably going to get a bunch of orders from Australia now, because everybody wants one.